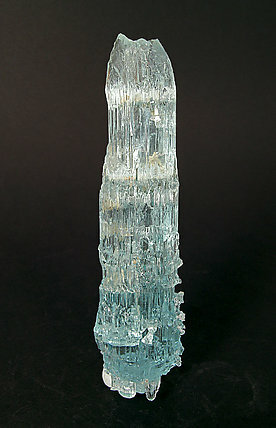 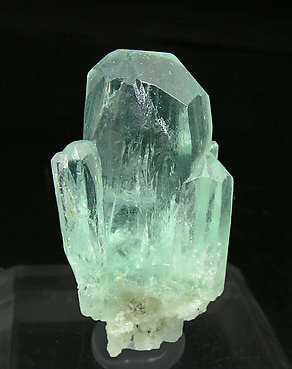 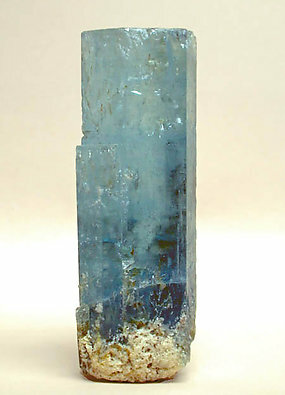 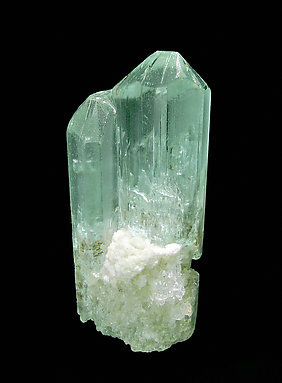 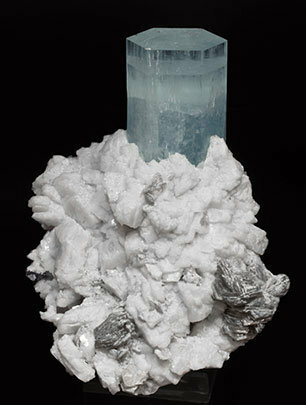 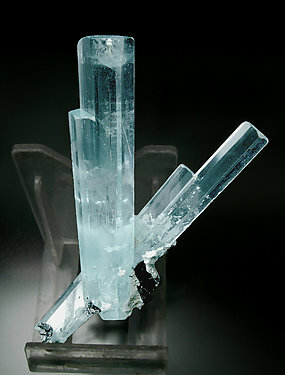 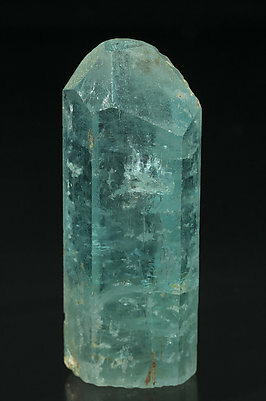 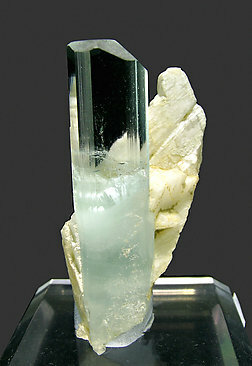 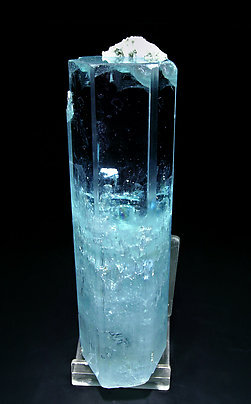 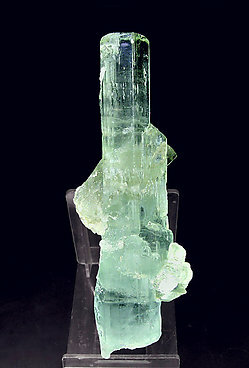 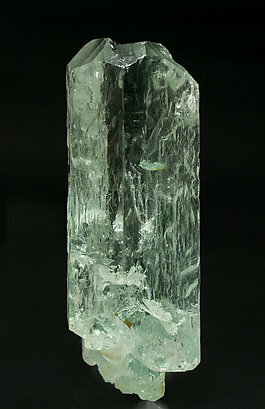 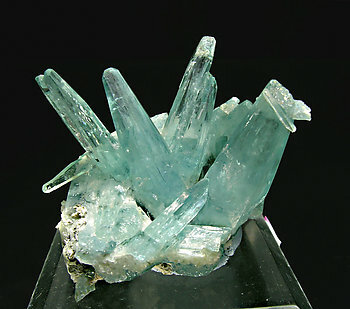 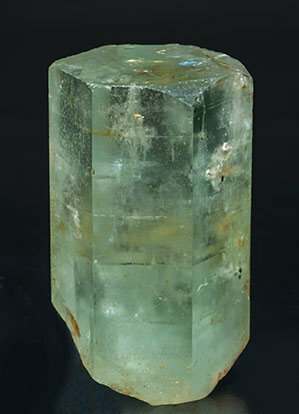 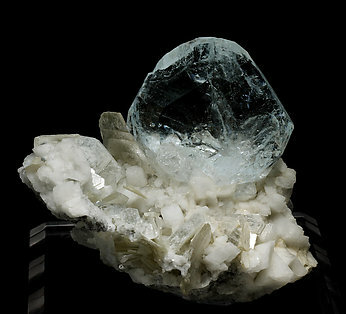 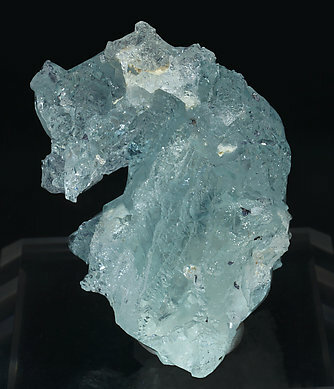 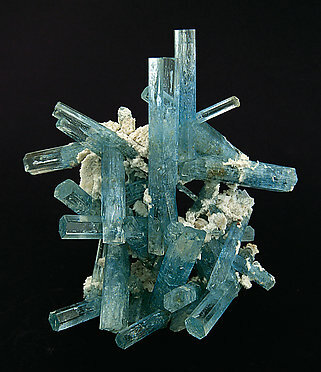 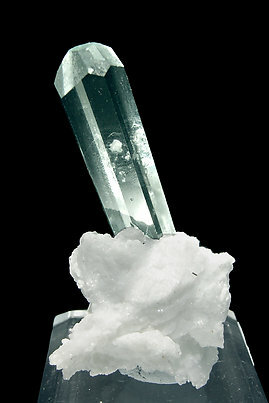 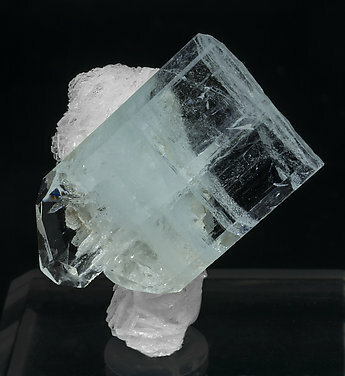 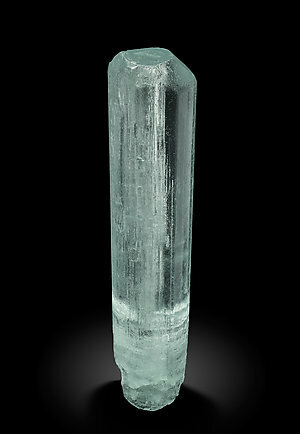 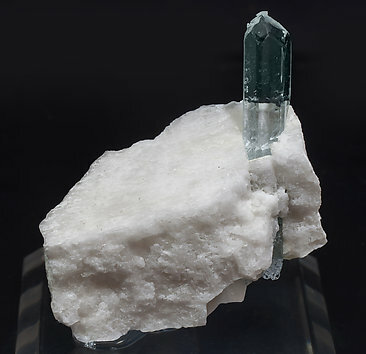 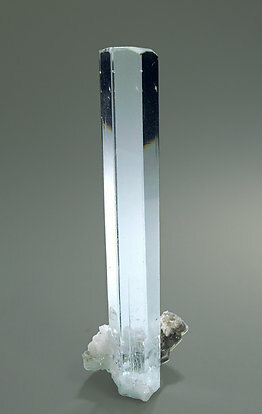 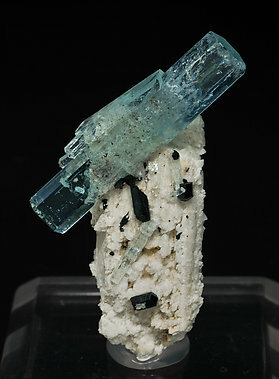 Beryl crystal (aquamarine variety) of a good length and thickness, with blue color zoning and on an Albite matrix with Schorl and leafy clusters of Muscovite. 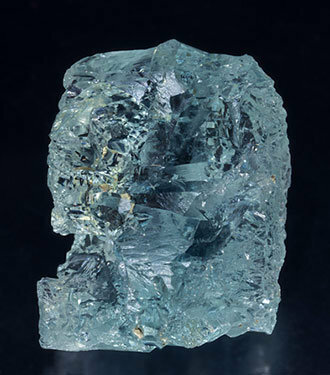 A single crystal, on feldspar matrix, that is very bright, very rich in terminal faces, with a uniform blue color and on Feldspar matrix. 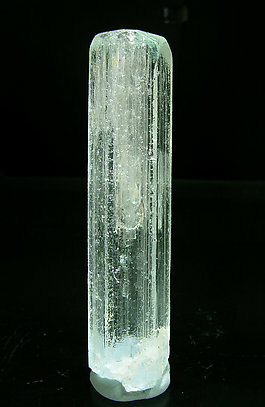 Very aerial group of bright and transparent crystals. 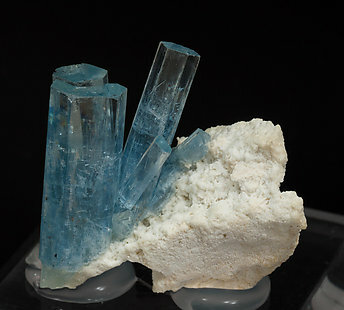 They have a very intense blue color, very well defined faces and edges and perfect pinacoidal terminations and are on feldspar matrix.